The Ladies Board of Inova Loudoun Hospital is a Leesburg-based non-profit organization whose mission is to promote goodwill between the Hospital and the community and to raise funds for nursing scholarships, patient services and special projects. The work and support of the Ladies Board has an impact on every patient we see at Inova Loudoun Hospital. As a physician, it is a great pleasure to work with the Ladies Board in identifying opportunities to elevate the care we provide. The Ladies Board has been pivotal to the success of Loudoun Hospital since its founding in 1912. Their tireless and heartfelt spirit motivates us to continually deliver exceptional care to our patients. I have never seen an organization make such an impact on a hospital and a community as a whole. I am honored to know several of members of The Ladies Board and enjoy working by their side. 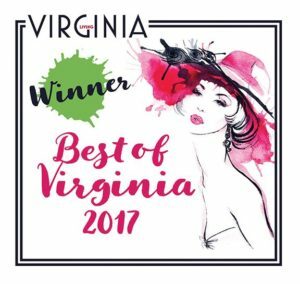 The Rummage Sale has won first place, Best Charity Event in Northern Virginia in the Virginia Living’s Reader’s Poll contest for the past six years! The Ladies Board has won first place, Best Charity in Northern Virginia for the past two years! The Gift Shop won third place, Best Gift Shop in Northern Virginia.